Christchurch Industrial Estate is a strategic development zoned and planned to house factories and businesses. As with any development, there are bound to be maintenance issues down the road. For this industrial estate, the major issue was a leaky asbestos roofing. Over time, asbestos roofs get porous which means cracks develop causing the roof to leak. This problem had affected businesses in the estate and the integrity of the entire structure was threatened. What had started as a trickle had worsened over time thereby requiring immediate attention. 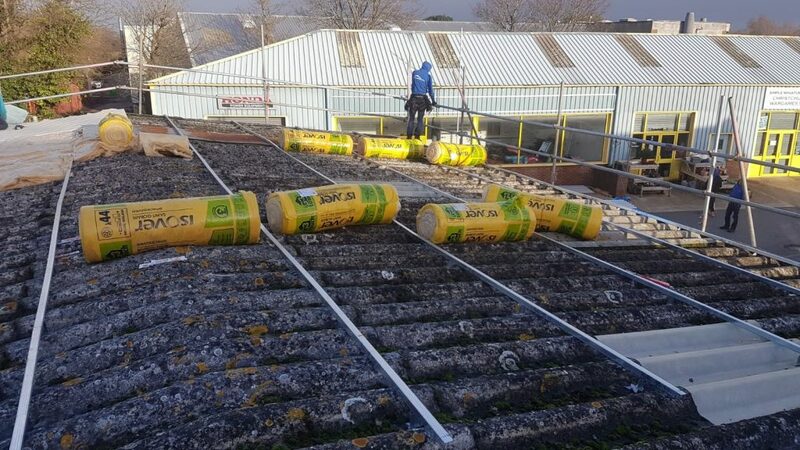 That is when Finn Industrial Roofing was notified of the problem and tasked to find a solution to the 380 meters of asbestos roof. After carrying out an extensive assessment and documenting the problem, the first step was to fix an Ashgrid barring system through the existing asbestos roof into the steel frame below. Ashgrid is extremely versatile and ideal for over-roofing or new builds projects. It creates a roof cavity above purlin. The beauty with this is that it allows the occupants to continue with their businesses while the team is fixing the roof. In the spacer created by the Ashgrid barring system, we installed a 120mm fibreglass insulation. Fibreglass is a perfect insulator that traps pockets of air and slows the spread of heat, cold, and sound. During winter, it keeps structures warm and during summer, it cools them off. This makes it a convenient method to enhance energy efficiency. The type of fibreglass that we used satisfied the fire regulation standards thus assuring the building owners of total compliance. The insulation was installed in between the over-roofing and the existing asbestos roofing. The roofing panel that we fitted to the Ashgrid was a 0.7 mm leather grain sheeting measuring 32 x 1000 in dimension. For the choice of colour, we chose anthracite grey to give the roof a professional look. Asbestos removal is highly regulated in the UK and is to be undertaken by companies that are well equipped with both specialised tools and experienced staff. The damaged roof at Christchurch Industrial Estate required that we remove the existing asbestos barge and replace it with a two-piece barge. The pieces that were removed included down pipes and a half round asbestos gutter. We replaced this with plastic pipes and Trimline gutters. The disposal of the removed pieces was done under the highest possible standards of cleanliness and safety. No isolated or encapsulated residual asbestos was left on site. At Finn Industrial Roofing, we always strive to work within budget and schedule. 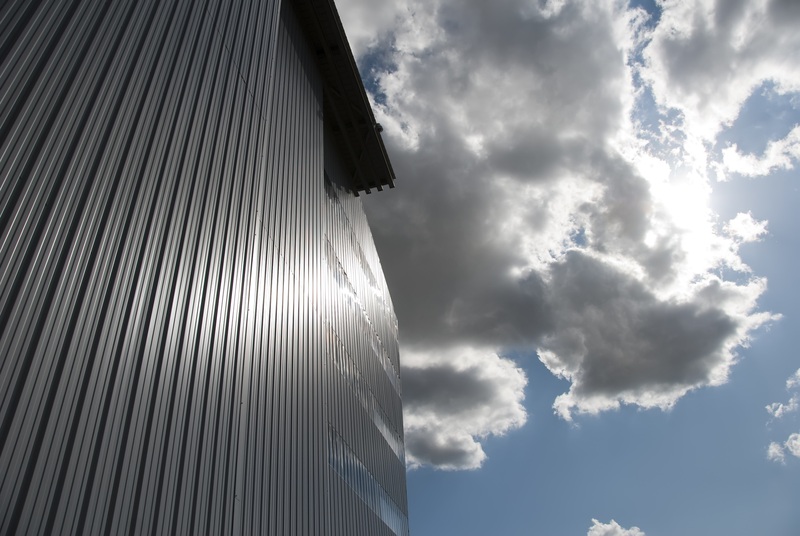 We completed the Christchurch Industrial Estate roofing project five days ahead of schedule.